It’s time!!! Here come the baby shoots! Every year, at this time, I smile to myself as I start to see all the herbalist posting pictures of their long lost friends, the green ones, as they poke their little heads out of the soil. I imagine you all wandering around your land expectantly, searching for these first signs. I love the idea of us all walking, wandering and hoping together. For the last week I’ve seen the little nettle tops making their way through the snow and rain and yes, even a little sunshine. Today was the day they were big enough to harvest a small handful of tops, carefully snipped and carried into my kitchen for my breakfast scramble. 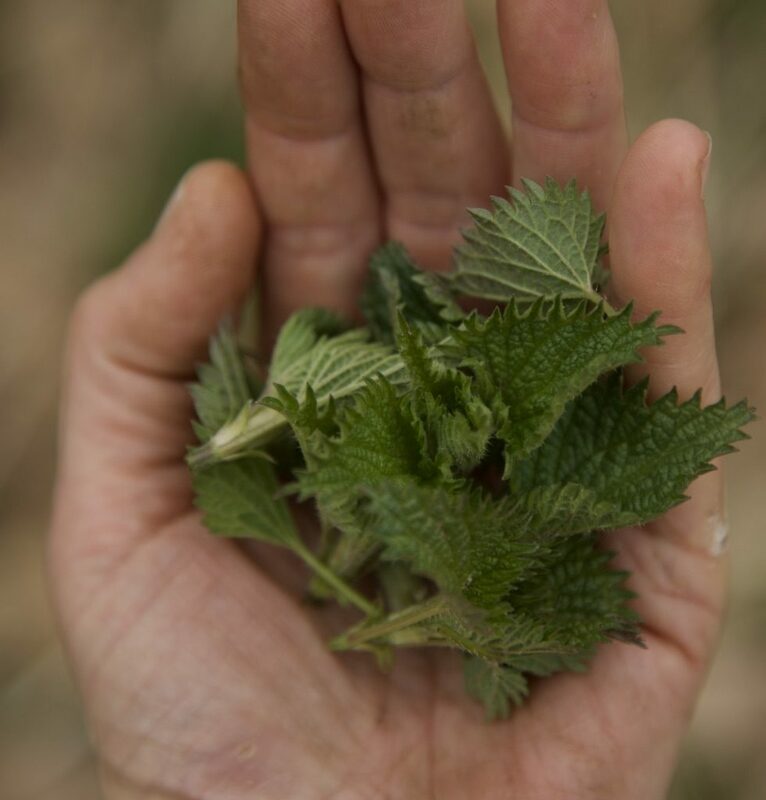 When I start my spring ritual, inspired my Susun Weed, of a serving of nettles every day until they are no longer harvestable. Maybe you could try this spring nutritional boost to the system!! 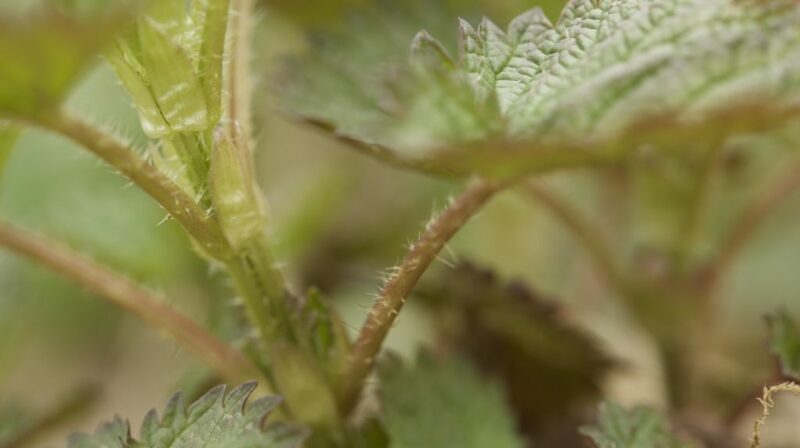 Nettles are the most nutritional leaf on the terrestrial landscape. Try on nourishment instead of “detoxing”. What would it be like to add something in that truly nourishes you instead of removing something (or many somethings) that’s “bad” for you. Let’s gradually increase nourishers and maybe the habits not bringing us nourishment might fall away.….simply…..effortlessly. Seriously, if you eat cooked spinach, you can eat nettles. If you’re not used to eating wild foods, you might want to start with a little bit and mix it in with the other cooked greens you eat until you get used to the taste. This morning I added 6 or 7 little tops to my handful of arugula spinach as I stir fried them up. We make nettle soup, nettle lasagna, nettle pesto. The main thing to keep in mind is to cook it to deactivate the stinger (or trichome). It doesn’t need to be difficult. You don’t need to hike for hours. Find a local patch, bring your scissors and a little basket. Harvest in a respectful way. Give thanks. Enjoy. 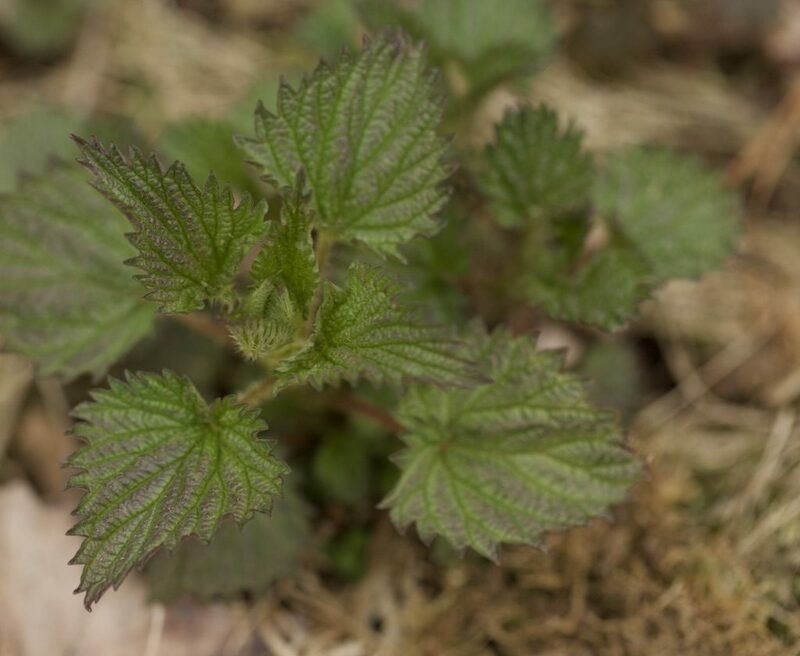 How will you prepare your nettles?